What are you looking forward to most at the show? 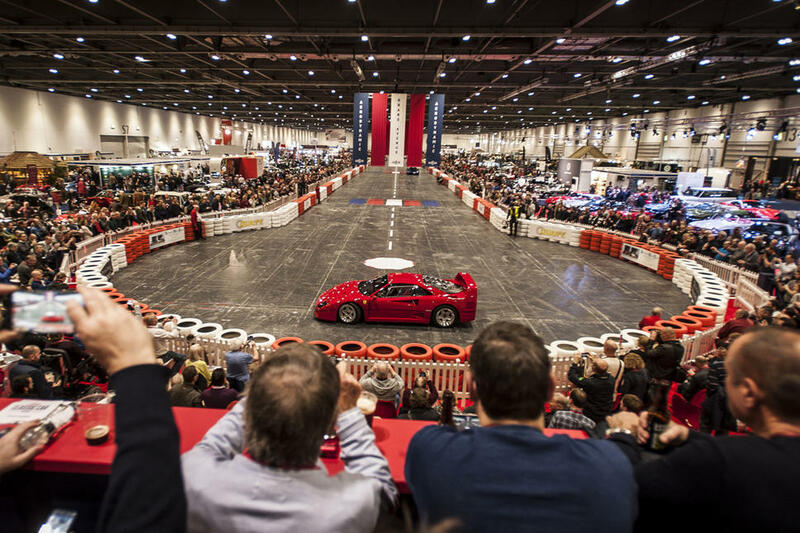 The London Classic Car Show offers inspiration ahead of the start of the spring season. I love to see the array of models the dealers and manufacturers have on show, but what I enjoy most is the pride of the owners who are displaying their own cars and hearing their stories. This year I’m particularly looking forward to the Getaway Cars display, where we’ll see everything from the obvious mk2 Jags to the Audi RS4 Avant. 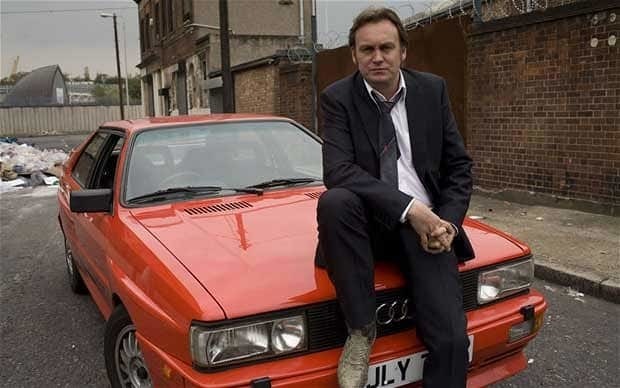 Actor and fellow car-nut Philip Glenister is curating the exhibit and, if I was a gambling man, I'd say there’ll be a UR Quattro there somewhere. That said, maybe he could go for a Ford Cortina Savage from Life on Mars? What will be the most impressive and exciting cars to look out for? Everyone should check out the 'specials' collection, the bespoke cars that have been created to serve specific motorsports or bespoke requirements from the more discerning customer. I love quirky stuff like this, as there's always a fascinating background story. For me, discovering how they came about and why they look, sound and perform the way they do is just as interesting as simply admiring them. Events like The London Classic Car Show help continue my education. How is this year's show different to previous years? This year the autojumble promises to be bigger and better than ever before. It's great to know that even in the heart of urban city life, in the middle of winter, you’re still able to rifle through boxes of antique car parts. There's going to be scores of car club displays, which are always a catalyst for lusting after a vehicle you don't (yet) own. But, probably the biggest difference will be more modern classics on display than ever. By that I mean 1980s and '90s stuff - and not before time. As soon as cars hit 20 years old I reckon they're ripe to be classed as classic, or retro cars, meaning fresh faces and new generations are drawn into our world all the time. What is behind the enduring love people have for classic cars? Nostalgia. That has to be top of the list for most. Old cars are a reminder of a certain moment in time. They’re a historical bookmark for a specific period, reflecting style, engineering and technology. We all have fond memories of seeing a car when new, or having a ride in a mad uncle's car as a nipper. These memories are etched into your brain. For me, classic cars are a fantastic way to escape today’s tech-laden hustle and bustle. I climb into my 1968 Dodge Charger and have to ignore any bleeps in my pockets, because the car commands all of your attention. It is physical to drive and thus rewarding. Maybe it's sad but I welcome the escapism a classic can offer. It's almost like role play in a period drama. What are your top tips for keeping classic cars on the road? Regardless of their value and complexity they’re comprised of cogs and parts which mean they need using. It's heart-breaking to see restored vehicles locked away in private collections or air-tight bubbles, emerging only to head back onto the display cicuit. My best tip? Use it or lose it. When I say lose I mean you will lose the love for it, because cars go wrong from sitting dormant almost as much as they do from being used. My other nugget of advice is to protect it properly. Many classic cars are vulnerable to decay, so they need to be stored correctly - i.e. in the dry, preferably with a draft, and drowned in cavity wax. It shocks me the number of classic owners who rarely bother to look under their car or get it on a ramp to see the true condition of the chassis. Protection also means getting the right insurance cover in place, whether driven or not. Find a specialist broker who understands your requirements and who works with insurers that really ‘get’ classic cars and can use both these to get the right policy for you. Jonny will be accompanying us in The Grand Avenue Club at LCCS next to The Bridge, where he will also show-case his latest 'barn find' renovation project, a classic Honda S600. You can also catch daily video highlights from the show on our website.